Hey everyone, I have a new release out this week and wanted to tell you a little bit about it. It's a departure for me--and I broke several of my own rules to write it. Rule #1 – I never write in first person. Rule #2 – I never write from a child’s point of view. Rule #3 – I always have romance somewhere in my stories. Well…one out of three ain’t bad. I threw Rule #1 out the window when I picked up my pen and started this book. I did write Kane’s Redemption in first person. It’s the first work of fiction I’ve ever written from this perspective, and after I wrote it, I knew there would be two more of these novellas to follow. There was no better way to tell this story of young Will Green and Jacobi Kane – and the secret that stands between them. Will is a child when the story begins, but a young man by the conclusion. So, I guess you could say I broke my own “Rule #2” as well. Growing up in the 1800’s on the prairie of the southwest would make an adult of you quickly; even quicker if you watched your entire family murdered in the space of five minutes. This story is not just about Will, though – it’s also about Jacobi Kane, who has some secrets of his own. Although he rescues Will, he wrestles with demons that can’t be fought alone – but how can Will help? In the end, who is the true rescuer – Will, or Jacobi Kane? Romance? Well, there’s a bit of that. But it’s the romance that comes with new beginnings and the kiss of forgiveness. 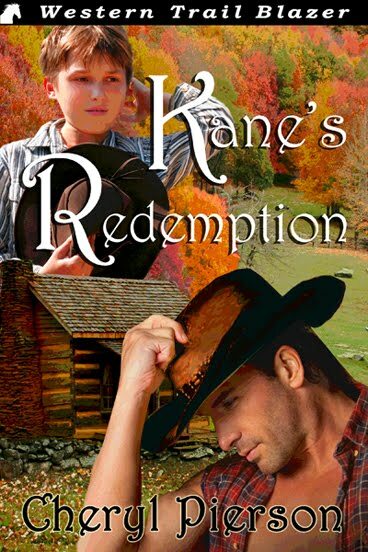 Come to think of it, the romance in Kane’s Redemption is different from anything else I’ve ever written, too. This story came from somewhere deep; a place I didn’t know existed. It’s a gift I hope you will take as much pleasure in reading as I did in writing. 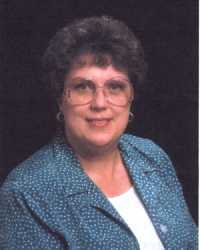 Look for Book 2 in the Kane trilogy, Kane’s Promise, in the fall of 2012. Here's the blurb:Novella - A ten-year-old boy fights for his life when he is taken prisoner by a band of raiding Apache. Steeling himself for death, Will Green is shocked when a lone man walks into the Apache camp to rescue him several days later. Driven by the secret he carries, Jacobi Kane has followed the Indians for days and needs to make his move to save the boy. With the odds stacked eight against one, his chances for success look pretty slim. But even if he's able to rescue the boy and they get out alive, what then? EXCERPT from Chapter 1:Tonight would be my night to die. Red Eagle and his men had kept me alive to their own end, for the last several days. Now, they argued, and though I didn't speak Apache, it wasn't hard to tell what they meant. We had ridden across endless miles of desert, populated only by saguaro cactus and rattlesnakes for days. I wasn't sure how many. The men talked amongst themselves, their faces smeared with war paint. Garish and frightening, they had seemed to me from the moment they took me. Now, they seemed hideous, almost laughable. The sun was setting on another day among endless time – six days; seven? I wasn't sure how long we'd ridden. On and on, it seemed as if we'd ride until we came to the end of the earth. But I knew the ocean surrounded the continent on three sides, and we were far from the cooling spray of ocean water my father had often spoken of. I was in Hell, and I knew it. But not the why. Why was I even still alive? Available for Kindle here at Amazon, and in print next week! When I was growing up in Lubbock, Texas, dancing in school was strictly forbidden. We could, however, learn "folk games" in physical education class. That was the only part of Phys Ed that I liked. I am soooo not a jock. Think shy, klutzy, asthmatic nerd. After high school graduation, I became a student at Texas Tech. My first semester there, a guy asked me to the western dance held each Friday night, and I accepted. Woohoo! I didn’t think I knew how to dance western style, but I had this great skirt that would be perfect. (Yes, I was pretty shallow, but I was 17, so give me a break.) Imagine my surprise when the dances were the folk games I’d learned in public school! According to the Mid Atlantic Challenge Association, the square dance is an American institution. It began in New England when the first settlers to New England (probably not counting the Puritans) and the immigrant groups that followed brought with them their various national dances: the schottische, the quadrille, the jigs and reels, and the minuet. I’m including one of my favorite videos below, in which Queen Elizabeth II is shown dancing what greatly resembles a square dance (but formal). That’s Prince Charles dancing with his grandmother, the Queen Mother. Thanks to Loretta Chase and Susan Holloway Scott for including the video on their blog, "Two Nerdy History Girls." In almost any group there would be at least one extrovert with a knack for remembering the dance figures. Dancers let this person cue or prompt them in case they happened to forget what came next. In due course, the prompter (or caller) acquired a repertoire of patter that he could intersperse with the cues. Initially, each square consisting of four couples had its own caller who stood in the center of the four couples. Must have resulted in a lot of noise! With the introduction of better dance conditions, microphones, etc. only one caller was needed. In the early 1930's, Henry Ford became interested in the revival of square dancing as a part of his early New England restoration project. Mr. Ford used to vacation at the Wayside Inn in Sudbury, Massachusetts. There he became interested in the dance program conducted by Benjamin Lovett. (I can’t help but wonder if he was an ancestor of Lyle Lovett.) The program included the gavotte, mazurkas, the schottische, the minuet, the Virginia reel, and other squares and rounds. Mr. Ford tried to hire Mr. Lovett, who declined, pointing out that he had a firm contract with the Inn. Ford simply bought the Inn and Mr. Lovett's contract and took Mr. Lovett back to Detroit with him. Isn’t money grand? At least...I think it would be. In the Detroit area, Mr. Ford established a broad program for teaching squares and rounds, including radio broadcasts and programs for schools. He built a hall in Greenfield Village and named it Lovett Hall, and it is still in use. His efforts captured the interest of other individuals who then modernized the activity so that it would appeal to contemporary America while retaining its basic flavor. Square dancing groups began to form all over the country. By 1948, square dancing had reached the level of a fad and there was some concern that interest would be short-lived. Not so. Folk dancing also received a major boost in the 1920's when the New York City public schools, the first major school system to do so, made folk dancing a required activity. But Lloyd "Pappy" Shaw should received primary credit for square dancing's modern revival. Shaw was superintendent of the Cheyenne Mountain High School in Colorado during the 1930's. Shaw shared his enthusiasm with his students and offered summer classes for dancers, callers, and national folk dance leaders. Returning to their respective homes and communities, the square dance revival began. In 1938, Shaw organized a student demonstration team that performed exhibition dances in Los Angeles, Boston, New York and New Orleans. According to many scholars, the English ancestor of our modern square dance was the great Morris dance. 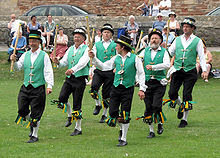 It was an exhibition dance done by trained teams of costumed Morris dancers wearing bells - six men (women did not participate) in two rows of three. Later on, in the 17th century, country dances became all the rage in England. At the same time, people did "rounds for as many as will", some of which resembled the choral dances often danced in the naves of English churches. 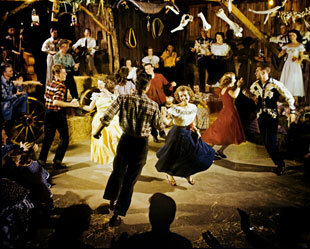 As shown below, basic steps ground the square dance, with fancier steps added as dancers gain expertise. Great way to exercise while having fun! The French adopted and modified the English country dance and called in the Contredanse Anglais. They also produced the form of dance known as the Quadrille (a term which originally referred to a card game). Many people believe the Quadrille is the grand-daddy of our modern square dance. However, "Dull Sir John" and "Faine I Would" were square dances popular in England over 300 years ago. The French also developed the Contredanse Francais or Cotilion (later changed to Cotillion), a dance done in a square formation with eight dancers. The video is from Erika Joy Ordonez's Graduation/Birthday Cotillion at the Waikiki Beach Hotel, Waikiki, Hawaii on July 14, 2007. Love it, but all I can add is Erika's dad must be very wealthy! I wonder if Erika paid for all the dresses. $orry, I lost my train of thought for a moment. As I mentioned, dancing masters came to this country with our forefathers and brought with them the dances of their homeland. One of the earliest records and one of few of these dances is contained in the works of John Playford, a musician and dancing master. His book, "The English Dancing Master - Plaine and Easy Rules for the Dancing of Country Dances, with Tunes to Each Dance" was published in seventeen editions between 1650 and 1728 and contained 918 dances. Meanwhile, couple dancing was keeping pace. The French had a round dance called the branle, and there was the gavotte and the minuet. The most daring of all dances, the waltz (Sigh, I love to waltz! ), created quite a stir when it was introduced, for it permitted the gentleman to hold his partner in close embrace as they moved about the floor. Not so shocking now, but scandalous at the time. Regency readers will recall that special permission had to be given musicians to play that dance at a ball. That dance position, which we now call closed dance position, was known for many years as the waltz position. Wherever you live, somewhere nearby square dance lessons are offered. Do you ever go square dancing? By the way, the recipient of Lyn Horner's books, DARLING DRUID and DASHING DRUID from January 20-21 was Ruby. Thanks for commenting, Ruby. Shoes made out of what? Wyoming is stuck in my mind lately—probably because my current WIP is set there—so I decided to share an interesting historical tidbit about Big Nose George and his Wyoming demise and what still remains of him there. 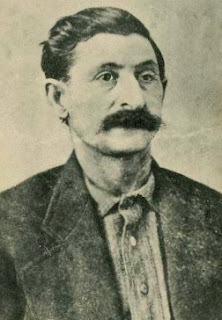 George Parrott (he had several aliases) was an outlaw, mainly a cattle rustler but participated in many other robberies, who met his demise after killing a Wyoming deputy and a railroad investigator. The lawmen had been pursing Big Nose George and his gang for train robbery. After a shootout in which the lawmen were killed, George and his gang made their way into Montana, and for whatever reason, in a saloon there they began bragging about killing the lawmen. George was apprehended and returned to Wyoming for a trial. Found guilty, he was sentenced to hang on April 2nd. However, on March 22nd he attempted to escape while being held in the Rawlings jail, and failed which led to an earlier death than scheduled. The jailer’s wife heard her husband calling for help when Big Nose George, (who’d managed to relieve himself of the heavy shackles on his legs with a pocket knife and a piece of sandstone) hit her husband over the head. She grabbed a gun and persuaded Big Nose George back into his cell. The jailer’s skull had been fractured, and while he lay healing, word spread of the attempted jail break. Over two-hundred local residents stormed the jail and proceeded to lynch Big Nose George from a telegraph pole that very day. I haven’t used any of this in a story, and don’t know if I will, but found it too amazing not to share. I’d also like to share that my next book, Testing a Lawman’s Honor, will be released on February 1st. Her lips had gone dry, but Della didn’t dare lick them. Spencer might take it as a sign she wanted him to kiss her. And she did want that, more than she wanted to breathe, but kissing him wouldn’t solve anything. His gaze continued to encompass her, as if he could see inside her head and read her deepest, most private secrets. Startled, terrified he might be able to do just that, Della ducked under his arm and didn’t stop until several feet separated them. He cocked his head, and the gaze in his eyes was too charming. Too endearing. “I don’t have time to play games with you,” she whispered. “Spencer.” She pressed a hand over her heart, fearing it might explode. Welcome, Darlene Franklin! 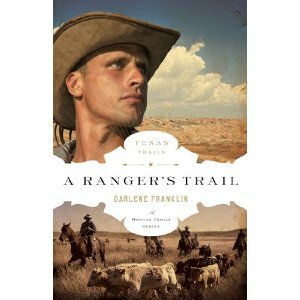 Readers, please leave a comment to be eligible for a hard copy of Darlene's newest release, "A Ranger's Trail." And now, here she is, to tell us all about herself and her writing--expecially her Texas novels. Recently a reviewer called the Texas Trails series an “epic.” The description startled me, but the more I thought about it, the more it resonated. The six books of the series sweep through fifty years of Texas history (1846-1896), touching on major milestones of the period: immigration, settlement, Indian wars, range wars, cowboys, the Rangers, stagecoaches, the War Between the States, the discovery of oil. 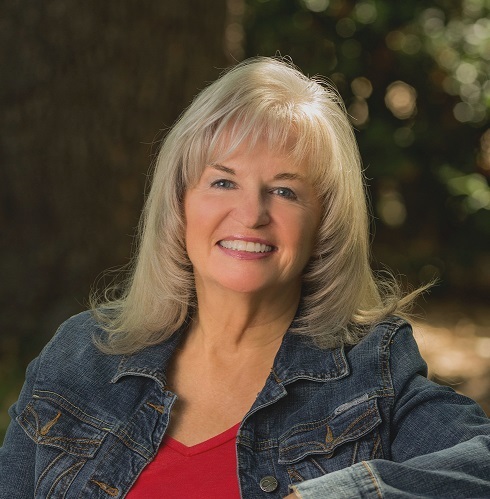 But when Susan Page Davis (Captive Trail and Cowgirl Trail), Vickie McDonough (Long Trail Home and The End of the Trail) put together the proposal, we weren’t thinking “epic.” We were looking for a way to tie six books about Texas together and we decided on the tried-and-true family saga arrangement. Then we looked at historical events that interested us in the six decades from the 1840s to the 1890s. Before long we had the structure we needed for the series. The books stand alone, and we each wrote two titles in the series. My two entries, Lone Star Trail and A Ranger’s Trail, take place during the 1840s and 1870s respectively. Our agent, Chip McGregor, suggested the idea and teamed the three of us together. Susan, Vickie and I have worked together before. I felt privileged to work with such great writers. Not only that, but we work well together. Not all teams do! Why Texas? Because Texas sells! And more than that, all three of us enjoy writing stories set in the west. 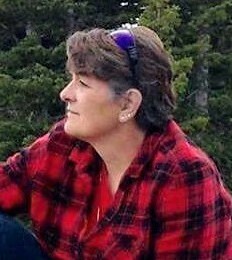 Vickie is from Oklahoma, but both Susan and I grew up in Maine. 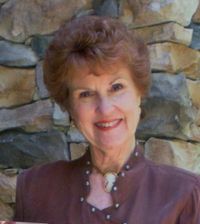 Susan has never lived in the southwest, but her knowledge of horses, farms, guns, and all things western combined with her research make her a terrific western writer. I not only grew up in Maine, my mother lived on the ocean for almost thirty years. I kept moving south and west for my education and other reasons until I reached Colorado. The purple mountain majesty of song tamed my heart the same way the roar of the ocean waves pounding the rocks outside my parents’ home did. I soon discovered how much I prefer the western way of life. It’s friendlier, slower, and so very American. After twenty years in Denver, I recently returned to Oklahoma for the best of all reasons: I wanted to be near my grandchildren. Texas Trails begins on the Gulf Coast, in Victoria. That’s not quite on the coast; they arrive in Carlshafen/Indianola, a town that got blown away by a hurricane that shows up in A Ranger’s Trail. In Lone Star Trail, the Morgans have a thriving horse farm near Victoria. Texas has just joined the Union. 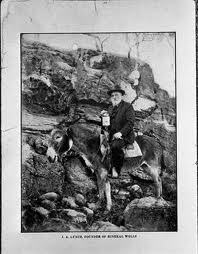 Jud resents the tide of Germans arriving in Texas to claim free land promised to them in the hill country. In A Ranger’s Trail, Jud’s son Buck is a Texas Ranger assigned to quiet a range war that’s taking place in Mason County, part of the German community in the hill country. 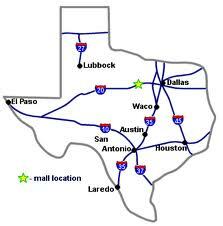 Although we didn’t plan it that way, all our stories except one, I believe, take place on a more or less straight line from Ft. Worth to Victoria. Moody put together a map showing the locations of each story that appears in each of the books. In preparation for writing the series, I took a trip down that line from Ft. Worth to Victoria. I also found a number of excellent books which gave me some of the nitty gritty details I like to include in my stories. In A Ranger’s Trail, I included quotes from contemporary accounts of the Mason County War. I wanted my readers to understand that the skeleton of my story actually happened, that the ugly prejudices and violence did not spring from my imagination. It was part blood feud, part range war, a senseless waste of life that stemmed from racial tension between “Germans” and “Americans.” I fought hard (and succeeded, I believe) to make it a story of hope in the midst of a hopeless situation. Labels: Texas Rangers. 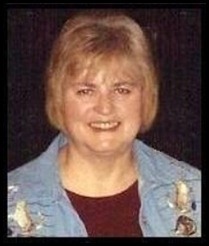 Darlene Franklin. Mason County War. Western Historical Romance. Inspirational Romance. Texas. German Settlements. 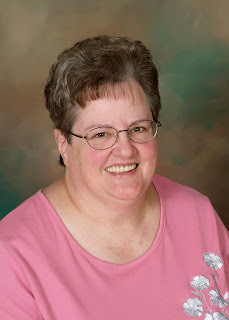 Jeanmarie Hamilton had surgery this week, so please help me welcome Lyn Horner who is graciously allowing me to repost and earlier interview with her from my own blog. 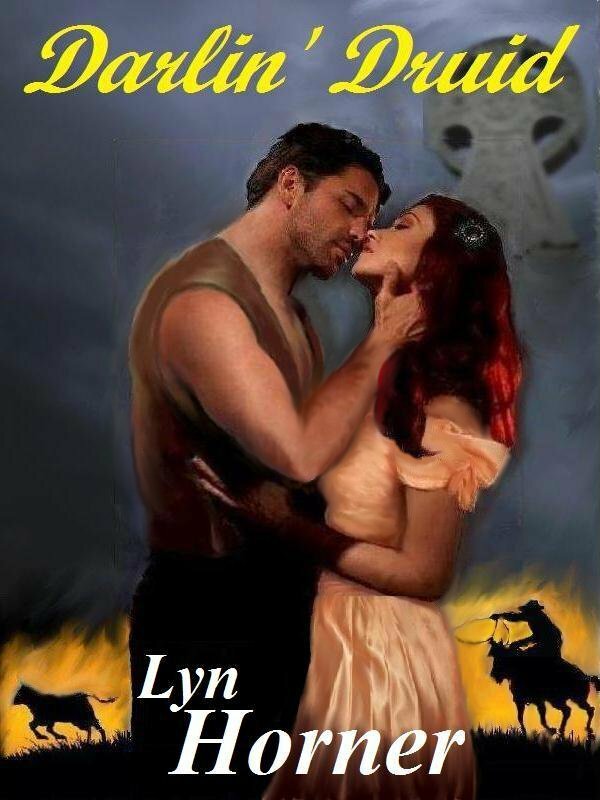 To show her appreciation for her readers, one lucky person who leaves a comment today will win downloads of both of Lyn's books! Lyn, please tell us about growing up. Lyn: I’m an only child. Born in San Francisco, I was raised in Minnesota, my mother’s home state. My father was a Texan and it’s from him that I inherited my love of the Old West. I’m married to my high school sweetheart. We have two grown children, six grandkids and a passel of cats. Caroline: I love cats, but only have two. 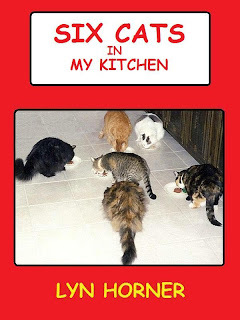 I notice that you also have a memoir titled SIX CATS IN MY KITCHEN. Would you like to give us a small peek at that book before we go on to DARLIN' DRUID? Lyn: Thank you. 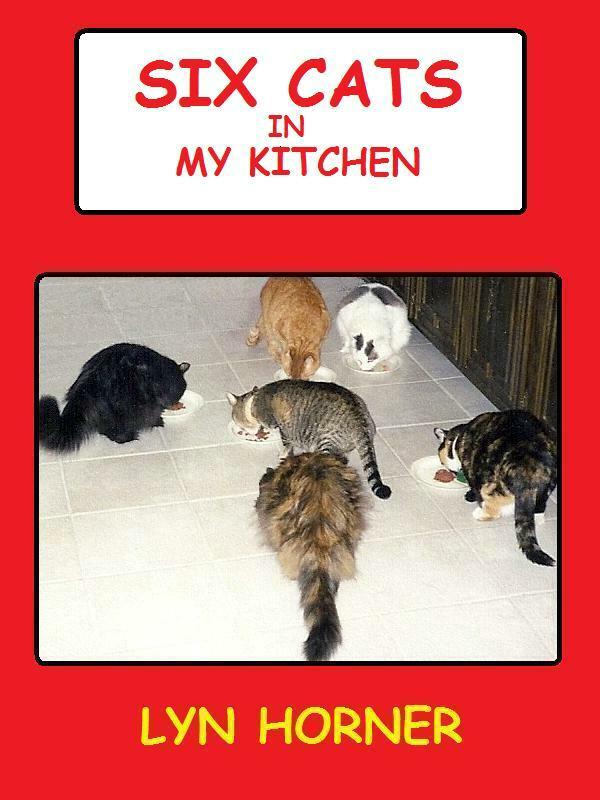 I invite you to try my memoir, SIX CATS IN MY KITCHEN. Six special cats are the headline-grabbing stars, but I touch upon subjects such as grieving the loss of loved ones, living with a disability, and coping with major life changes. Caroline: Your book sounds inviting. Who are your favorite authors and favorite genres? Lyn: Diana Gabaldon is my favorite author. I adore her Outlander series. I also like Linda Howard and Iris Johansen. 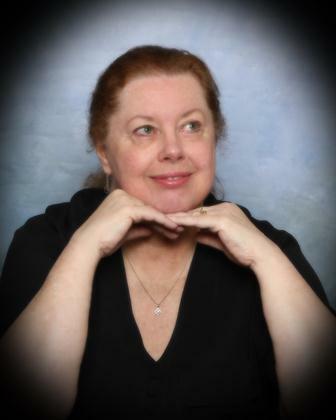 As you might guess, my favorite genres are historical romance (especially Scottish, Irish and western romance) and contemporary romantic suspense. Caroline: We share a love of the same genres. Isn't Diana Gabaldon a lovely person as well as a great writer? How many books do you read a month? What are you reading now? Lyn: I don’t read as much as I used to because I’m busy writing. Such a burden! Even so, I read five or six books a month. Right now I’m re-reading KINSMAN'S OATH by Susan Krinard. When I find books I like, I often read them again and again. Caroline: So do I, and each time I get something new from them. When you’re not writing, what’s your favorite way to relax and recharge? I know you love your cats, but do you have any hobbies? Lyn: Let’s see, I love to read of course, and I love movies. Some of my favorites are the "Lord of The Rings" trilogy, "Avatar," "Gladiator," "Last of the Mohicans," and "Red River" (the original black and white version with John Wayne and Montgomery Clift.) Gardening is my only outdoor hobby. Caroline: At our house we're very grateful for Netflix so we can watch our favorite movies and TV series. Describe yourself in three or four words. Lyn: Determined, imaginative and somewhat reclusive. Lyn: Dark chocolate, Celtic music and steamy hot baths. Oh, and an occasional margarita. Caroline: You and I have a great deal in common! How long have you been writing? Lyn: I’ve always enjoyed writing, but from the time my folks gave me a rudimentary oil painting kit, I set my mind on becoming an artist. I got my bachelor of fine arts and worked as an illustrator and art instructor for several years. Then I had two children, we moved, forcing me to quit work, and I found myself isolated at home with two small kids. To save my sanity I began to write as a hobby. That was well over twenty years ago. The ups and downs since then could fill a book. Caroline: Writing does have a lot of ups and downs that mirror life. Where do you prefer to write? Do you need quiet, music, solitude? PC or laptop? Lyn: I work on a laptop. My favorite places to write are in my recliner or on our bed with books and research notes spread around me. If I’m writing a blog or answering interview questions I can do it with the TV on, music playing, or my husband talking to me. But if I’m working on a book, I need quiet. Solitude is best. Lyn: I’m a plotter. I use stickum notes to work out major plot points, then develop a loose outline. It undergoes changes as a book progresses, but having a plan keeps me on course toward my goal. Caroline: Same here. What on earth did we do before Post-It notes? Do you use real events or persons in your stories or as an inspiration for stories? Lyn: I am very often inspired by real events in my western historicals. For example, I use the Chicago Fire and our country’s first transcontinental railroad in DARLIN' DRUID. Most of my characters are purely fictitious, although I did include the real commander of Camp Douglas, Utah, as a peripheral character in DD. Lyn: I set goals but don’t always meet them. I write nearly every day, starting by 6:30 or 7 a.m. First I check email, comment on some writing forums, and maybe write a blog. When all the “fun stuff” is done, I go to work on my current project. With interruptions for household chores, it’s more of the same until late evening, sometimes into the wee hours of morning. Caroline: I'm so not a morning person and tend to be more creative late at night. What do you hope your writing brings to readers? Lyn: Most of all, I hope to give readers a rollicking good adventure that draws them in and won’t let go of them until the very last word. 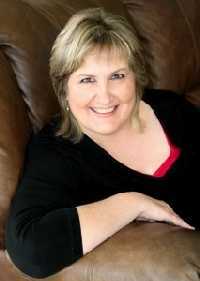 Lyn: I will continue to write my stories and publish them as ebooks. If I’m lucky enough to build a loyal following of readers, I will be proud and grateful. Beyond that I’ll take one day at a time. Caroline: Well said! Would you like to tell us what you’re working on now? Lyn: Sure. I’ve just finished writing book II in my Texas Druids series. Titled DASHING DRUID. This is the story of Tye Devlin and Lil Crawford, troubled souls who find both comfort and conflict in each other’s arms. Like his sister Jessie, the heroine of DARLIN' DRUID, Tye possesses a psychic gift inherited from Druid ancestors. He can experience other people’s feelings – he’s empathic in modern terms – an ability that may save those he loves or get him killed. Now I'm at work on book three in the series, DEAREST DRUID. Lyn: Learn your craft, research settings and time periods carefully, and write the best book you can. Join a critique group and edit, edit, edit! Be persistent. Don’t let rejection letters stop you. Keep writing, keep submitting, and consider publishing your own eBooks. They are now outselling all forms of print books. Caroline: Tell us about the first in this series. In any series, even if they're stand alone books, I like to begin with the first book. Lyn: If psychics live among us, if they existed in ages past, is it possible such gifted beings also inhabited the American Old West? They do in my Texas Druids trilogy. Meet the Devlins, whose hidden talents lead them across prairies and mountains, into the land of cowboys and Indians, with consequences not even a Druid seer could predict. Set in 1872, DARLIN’ DRUID is a blend of epic adventure, stormy romance and family strife, peppered by flashes of Druid magic. Jessie Devlin, daughter of Irish immigrants and survivor of the Great Chicago Fire, is descended from the “Old Ones,” her mother’s name for their ancient Druid ancestors. Gifted with visions of the future, Jessie dreams again and again of an unknown man who saves her from death. A prophetic vision convinces her the man is real and sends her west in search of him. But will her quest lead her to love or into a deadly trap? Caroline: You've hooked me! I do believe in psychic abilities and several people in my family are psychics of one type or another. A woman’s shriek rent the air, interrupting his ruminations and jerking him to attention. The sound had come from inside the depot. “What the devil?” he muttered. Cutting a path between startled travelers, he shoved open the door and stepped into the building. The stuffy interior reeked of tobacco and sweaty bodies. Finding a gap in the crowd, David caught sight of a red-faced young corporal. The trooper bobbed and weaved, arms raised to fend off blows being rained upon him by a woman in a brown poke bonnet. Her weapon was a heavy looking black reticule. “Scoundrel! I’ll teach ye some manners, I will!” she vowed in a furious Irish brogue. Swinging wildly, she sent the corporal’s blue cap flying. Wondering what offense the man had committed, David shouldered his way through the crowd until he stood directly behind the woman. Slim and a head shorter than himself, she wore a calico gown, the same drab color as her bonnet. Some settler’s wife, he assumed. But where was her husband? “No harm, indeed! Stand still, ye heathen, and take what’s comin’ to ye,” she ranted. As she spoke, the yellow-haired corporal spotted David’s uniform and threw him a desperate look. Feeling duty-bound to step in, David cleared his throat loudly and said, “Excuse me, ma’am, but perhaps that’s enough. The corporal might be needed in one piece when he gets back to his post.” His remark drew laughter from several bystanders. The woman snorted angrily. “Indeed? Well, I don’t give a fig whether the lout is in one piece or twenty!” So saying, she landed a solid whack on the corporal’s noggin that made him yelp. “Get ’im, darlin’!” a man in the crowd shouted, egging her on. “Let me go!” she shrilled, attempting to wrench free. He should have complied with her demand, but some primitive instinct made him slip an arm around her and haul her back against him. A sweet scent of lilacs and woman washed over him, and he instantly grew aware of her feminine curves. Glad he didn’t understand Irish, David cursed under his breath when she rammed her heel into his shin. It didn’t hurt much thanks to his leather boots; nor did the small fists pounding on his arms. But her frantic twisting sent the wrong signal to his male parts. “Calm down, you little wildcat!” he growled. Releasing her, he stepped back before he humiliated himself. Whirling around, the woman drew back her arm as if to slap him, only to freeze when their eyes met. A choked sound escaped her lips and the angry color drained from her cheeks. Seeing her sway, David grasped her shoulders to steady her. Her hands clutched his forearms as he returned her wide-eyed stare. Her eyes were sapphire blue, so dazzling that he had trouble breaking their hold upon him. When he did, he noticed how young she looked – eighteen or twenty, he guessed – and what a beauty she was. His gaze wandered over her smooth, creamy cheeks and dainty nose then lingered on her pink parted lips. Forcing himself to look elsewhere, he noted the dark auburn curls framing her brow. Her ugly bonnet hid the rest of her hair, but he bet it would look like silk when she let it down. Then he noticed how rapidly her breasts rose and fell, and desire surged through him, swift and strong. He felt a loco urge to pull her into his arms and kiss her. Reluctantly dragging his gaze back to her sapphire eyes, he wondered what had come over her. A moment ago, she’d been mad as a hornet. Now she stared at him as if she were seeing a ghost. Dazed by the sight of him, Jessie wondered vaguely if she was having one of her visions. Her gaze kept returning to his gray-green eyes. Crowned by dark brows with an eerily familiar slant, they matched those she’d so often seen in her dreams. Could this tall, uniformed stranger be the man she had left home to find? She hadn’t expected her quest to bear fruit so soon. And the longer she studied his sun-bronzed, square-jawed face, arrow-straight nose and unyielding mouth, the more she doubted he was the one. Those rakish features were hard, not gentle, and his hauntingly familiar eyes did not caress her like the ones in her dreams. Instead, they devoured her, making her stomach flutter and her heart race. When he boldly stared at her breasts, they tingled as if he were actually touching them. Stunned by her reaction, she inhaled sharply, catching the scent of shaving soap and virile male. She wondered if he would kiss her. Caroline: Intriguing excerpt to add to the blurb. I'm sure they've made readers want to read the book. Where can readers find DARLIN' DRUID? Thank you, Lyn, for sharing a new type of western historical with us today. Continued good luck with your writing career! Thanks to you, readers, for stopping by. 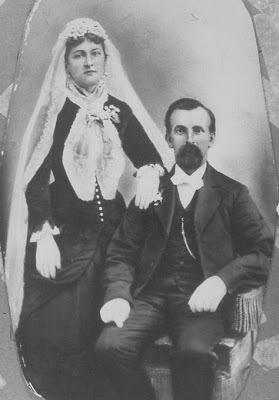 In 1877, James Lynch and his wife, Amanda, left the North Texas town of Denison, Texas with their nine children and fifty head of livestock. The Lynch’s were searching for a drier climate because their family had been in poor health. Both James, who was fifty, and Amanda suffered from rheumatism. As they traveled, news of Comanche attacks further west stopped their journey. On Christmas Eve, 1877, one of their oxen collapsed and died after crossing the Brazos River and lightning struck another. 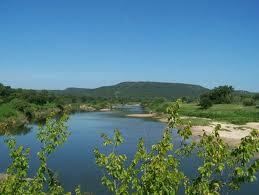 They decided to settle down where they were, in a pretty valley tucked in the hills of Palo Pinto County. Mr. Lynch purchase eighty acres of land and began to settle. 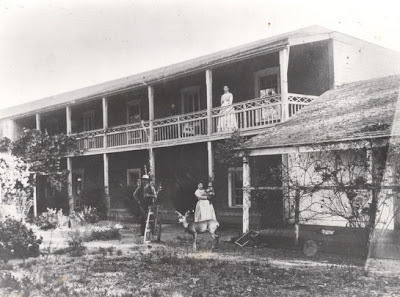 From 1877 until the summer of 1880, the Lynch’s hauled water from the Brazos River to their land, some four miles away. That summer Mr. Johnny Adams happened upon the Lynch Ranch. 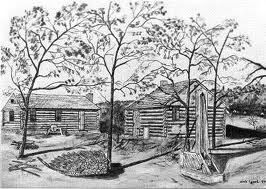 Mr. Adams, a well driller, agreed to drill a well on the property for Mr. Lynch in exchange for a yoke of oxen. At first the Lynch’s were hesitant to drink the water, because it had a funny taste and they were afraid it might be poisoned. Hauling water four miles, though, was difficult, so they began sampling the water. 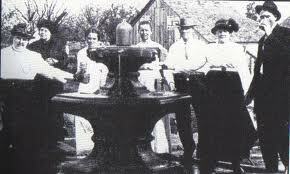 Finding that it was not harmful, the Lynch’s began drinking the well water. An unexpected thing happened. Mr. and Mrs. Lynch’s rheumatism was cured, and Mr. Lynch, once frail and gaunt, began putting on weight. In fact, the entire family became healthier. News of the improvements in the health of the Lynch family spread fast. Neighbors began trying the water, and within a month strangers were coming to the Lynch Ranch inquiring about it. Mr. Lynch began selling the water for five cents a quart. The water grew in popularity very quickly, and by the end of the year 3,000 people at a time were camping on the Lynch property. The town of Mineral Wells was laid out on the ranch in the fall of 1881, and Mr. Lynch became the town’s first mayor. People arrived by the hundreds, and by November it looked like a small army had moved in. A boom town had sprung up. Because of the enormous demand, Mr. Lynch and others began to dig more wells. 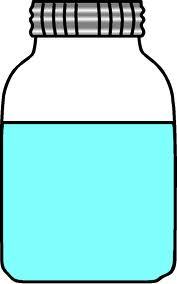 The water got its name of "Crazy Water" from an elderly lady who suffered from a form of dementia and sat by the well all day, asking people to draw her up a pail of water. The water apparently had some positive effects on the “crazy lady’s” illness, and soon others were lining up for the water. 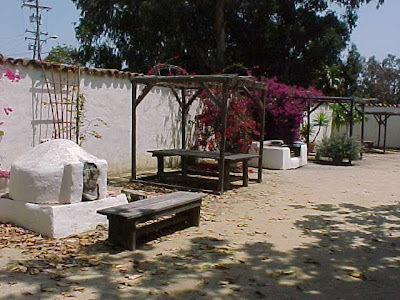 The well was named the “Crazy Well" and a pavilion was built at the site. Today, the Crazy Water Retirement Hotel sits on that spot on Main Street. 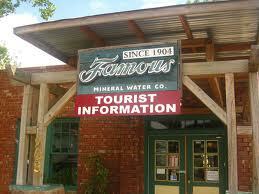 The Crazy Water Company became the most well known of the Mineral Wells water companies. Today, visitors can find the Crazy Water Company a couple of blocks behind the Crazy Hotel. The Crazy Water Crystal Plant was built in 1919. "Crazy" water was boiled down until only crystals remained. These crystals became an early version of "instant food" to be dissolved in water. The crystals were sold all over the world. This is a recent photo of Mineral Wells, Texas today. NOTE #1: A significant amount of lithium can be found in some of the town’s wells, indicating that the "Crazy Water" story may have significance. Lithium is used today to treat some mental illnesses. 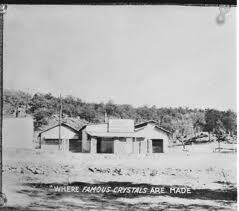 NOTE #2: As a very young man, my daddy worked in the Crystal Plant. When he met Mother, I believe he was working there at the time. 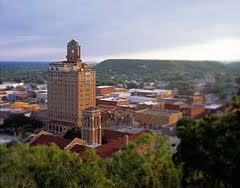 My mother, as a young girl, worked in the basement laundry of the famous Baker Hotel in Mineral Wells. They courted by going to dances held for young adults. My daddy always said of Mother: "Another fellow took her to the dance, but I took her home." NOTE #3: I was born in Salesville, a small village eight miles north of Mineral Wells. I grew up in West Texas, but all through the years, we traveled back to Minerals Wells and Salesville to visit both sets of grandparents. I've known about the Crazy Hotel and the crazy water..and the Baker Hotel..my entire life. 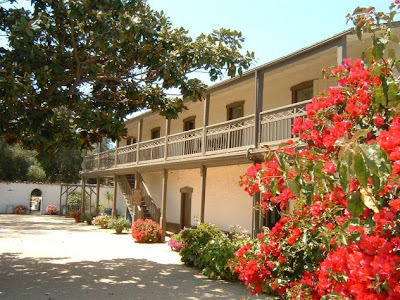 The Olivas Adobe..come back in time today! ~Tanya Hanson. We local folks enjoy the “Cowboys, Heroes and Outlaws: Passport to the American West” held every summer, with Western reenactors in full regalia as well as pioneer crafts for the kids. And just last month, folks enjoyed the annual holiday candlelight tour that showcased the tradition of Las Posada, where Mary and Joseph seek room at the inn. My latest release, Right to Bragg, is available now at Amazon and White Rose Publishing.. It's Book Four in the Hearts Crossing Ranch series...I just turned in Book Eight and the feelings are bittersweet. I love that ranch and the Martin family. Book Three, Sanctuary, and my first-ever suspense story Faithful Danger are both up for CAPA Awards at The Romance Studio. Enjoyable start to a new year.